 Home › Politics News › VP Osinbajo Didn't Visit Obasanjo.. New Report Emerged. VP Osinbajo Didn't Visit Obasanjo.. New Report Emerged. reported in the media. The VP met the former president at the Abuja Airport. "Ignore reports VP Osinbajo alongside Minister Amaechi held meeting with former President Obasanjo in Ota. 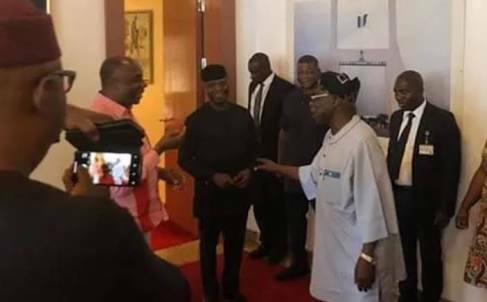 Yesterday (Tuesday), at the Nnamdi Azikiwe International Airport Abuja, on his way to Lagos, VP ran into the former President who had just landed.